Modern day digital marketing is moving at high speed. Running a successful business can be very difficult. As marketing managers, and business owners, you can quickly find yourselves overloaded with issues. Where do we allocate our marketing money? How do we deal with the internet and digital marketing? What advertising should we to invest in? What is the plan to get our website working? These are all valid questions, and ones that can turn marketing into a nightmare if you’re not prepared. The Grow Sales Fast Business Success System is an innovative business program that not only answers all these questions but also drives your business towards increased profitability. The Grow Sales Fast system is a system tailormade to your business, giving you the clarity and direction necessary to power your business above the competition. It's the perfect digital marketing partner, for your HubSpot automated marketing platform investment. By performing a comprehensive and complete review of your business, we are able to provide you with a complete and concise marketing plan that is presented in a highly structured and sensible way - ensuring that no part of your business is left unattended. 25 years of real-life entrepreneurship, mixed with the latest web technologies, social media, creative ideas and business strategy gets you results. The Grow Sales Fast Business System is an all-inclusive arrangement, and its customisation and flexibility is designed to suit any business and budget. Each stage has 20-30 individual confidential steps. We do not publish these steps as they are the result of 25 years of experience and proprietary information. Participants can select between 3 specific packages, Takeoff, Attack, and Explode, which vary in price. Generate more leads than ever before, and be given the tools to nurture them into ripe Returns On Investment. The Grow Sales Fast Business System can be your ticket to competitive advantage, with the minimum of fuss or hassle. Contact us today to discover how this system can add value to your business. This information is a game changer and is top secret. We do not give it out until contracts are signed. Those who choose the Takeoff package will enjoy success at a smaller investment, however, the all inclusive and comprehensive nature of the Explode package takes your business to an entirely new level of profitability and prosperity. The more committed you are to the Grow Sales Fast Business System, the better results you will see. Those who jump into the program with both feet find it to be well worth the investment as the goals set by your business are achieved. With the Grow Sales Fast Business System, your business can get the results you have been searching for. The Grow Sales Fast System is powered by HubSpot. Speak to The Kingdom today to find out more. 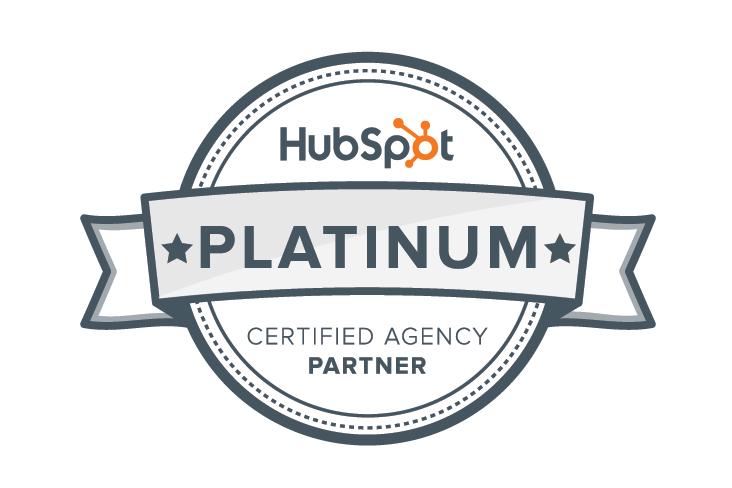 We are a Platinum Certified HubSpot Partner and one of Australia's leading inbound, content marketing agencies.